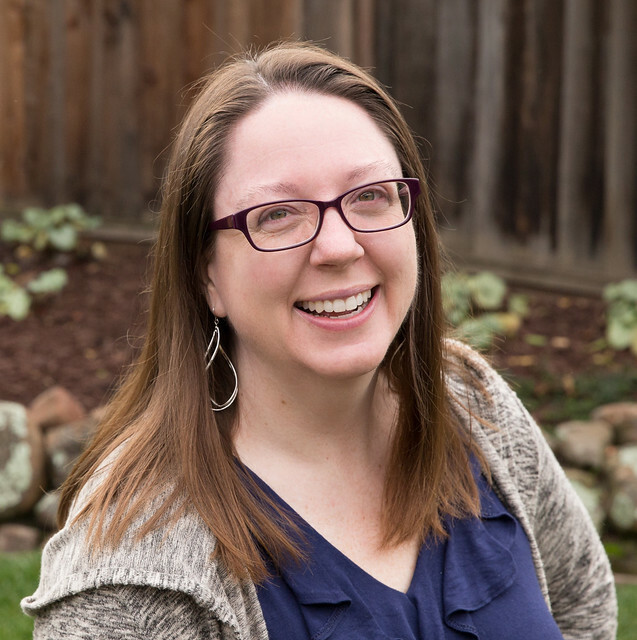 Nearly a year and a half ago when I started my blog I thought I wanted to blog about all. the. stuff. And I started out doing that. But it became clear to me that sewing, and especially quilting, are what I'm most excited to be sharing about, my true passion. Things I Make has started to feel a little too vague to me. 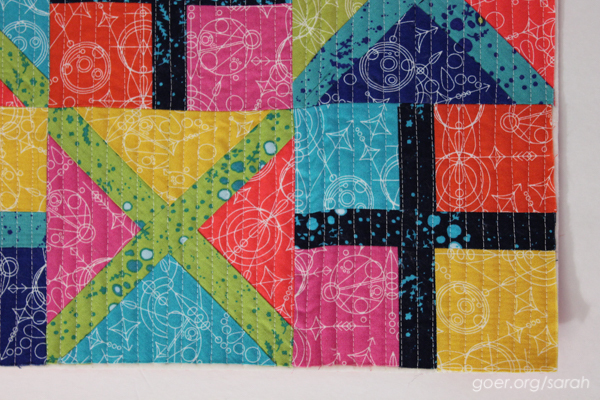 While I may still occasionally post about some other stuff, I'm primarily a quilt blogger. 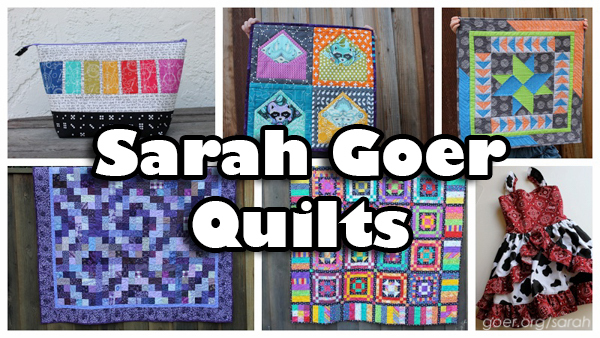 As such, welcome to Sarah Goer Quilts. Nothing else is changing. You can still find me here at www.goer.org/sarah and around the web as Sarah Goer: Bloglovin', Twitter, Instagram, Flickr, Pinterest. Large Open Wide Zipper Pouch. Envelope Mini. Basic Shapes Mini. The Purple Quilt. Candy Shoppe. 1st Birthday Dress. I'm feverishly working on some June deadlines for swaps and gifts. Here's what I've got going on at the moment. The swaps will be shipped on time, but I'm really a last minute kind of gal. I'm really excited about this one. Maybe enough to recreate it for myself! I used Alison's Alternative pattern at 50% size with her Sun Print 2015 Mercury and Grove fabrics (so fun to work with!). It's half pieced and half paper pieced. Ship deadline is June 15. Yeah, that's today. Just need to attach the binding and get it in the mail. I showed you in my last post that this is my goal for the month. I've just added on the background. Ship deadline is June 19. As soon as I get back from the post office later today, I'll be getting to work quilting this one. Last Thursday was the last day of school. Oops, they'll be fashionably late. (Sorry about that!) 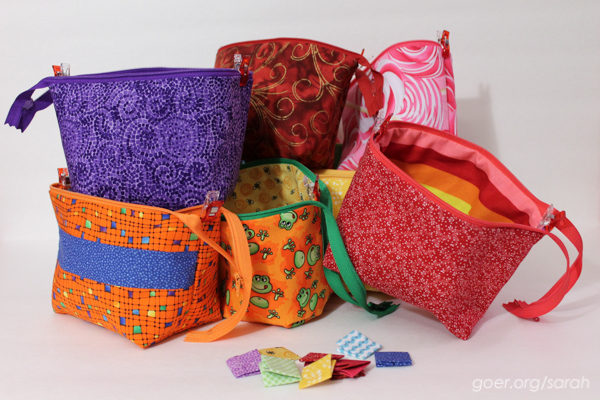 I'm making eight small open wide zipper pouches from Noodlehead's tutorial. I'm actually making nine total, since I'm making one for my daughter, since my son got one from my last batch. Here is what the pile of bags looks like at the moment. I've also pulled fabric to participate in Cheryl's Midnight Mystery Quilt at Meadow Mist Designs. I've decided to go with scrappy: (A) orange, (B) teal, (C) pink and (D) light grey. I'm really looking forward to the July 2nd cutting directions. Posted in Quilting. Tags: new blog name on June 15, 2015 by sarah. Good luck finishing up your Alison Glass swap mini and getting it in the mail. As I am here on the internet I am procrastinating on whip-stitching down the binding of my latest... I hope your new blog name is a fun update for you! Thanks, Yvonne. I'm procrastinating at the moment as well... but I attach by machine, so at least when I sit down to sew it'll be done very quickly. I like the new name. 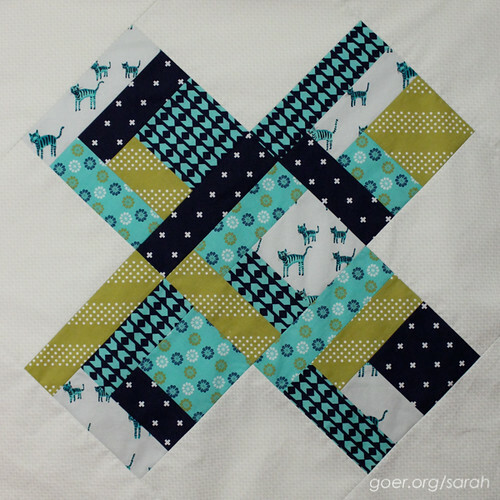 It is hard to stretch yourself thin so I think keeping the blog narrowed down to quilting is perfect. You can always throw in bits about other projects and ideas here and there. We love hearing about the random parts of life as well! Good luck getting the AG mini finished up. It is a beauty! Thanks, Bernie. I had to break to clean up playdoh and make lunch. I'm mid-sew on my second pass for attaching the binding by machine. At least that goes quickly. :-) I think I'll be able to get back to work soon. Love your pouches! And that fabric pull is fabulous!! Those oranges are great! Thank you, Ashley. Somehow I've amassed quite a pile of orange in my stash, so that was actually the catalyst for this pull. I originally thought I'd use solid white and switched to the scrappy light greys which I love as well! 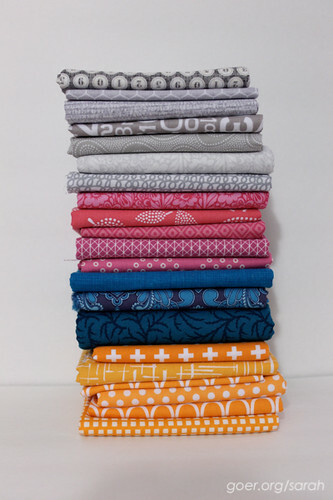 Your two mini quilts are just beautiful! I love the quilting on the Alison Glass one.